يضمن فندق Grand Millennium Auckland الذي رمم في 2016 لزائريه قضاء وقت ممتع في هذه المدينة الخلابة سواء جاؤوا في رحلة عمل أو سياحة. إن موقعه الجيد الذي يبعد 0.5 Km فقط عن مركز المدينة يساعد النزلاء على الاستمتاع بمعالم المدينة ونشاطاتها. يضفي محيط الفندق اللطيف وقربه من أكثر المعالم السياحية جذبًا سحرًا خاصًا على هذا الفندق. 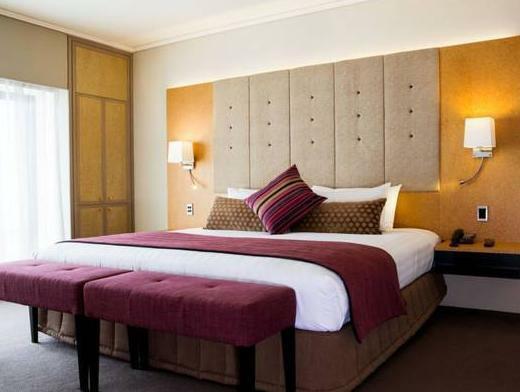 إن الخدمات التي يقدمها Grand Millennium Auckland تضمن للنزلاء إقامة مريحة. يمكن للنزلاء الاستمتاع بالميزات التالية: خدمة الغرف على مدار الساعة, واي فاي مجاني في جميع الغرف, أمن على مدار 24 ساعة, خدمة التنظيف يوميًا, خدمات بريدية أثناء إقامتهم في هذا المكان الرائع. 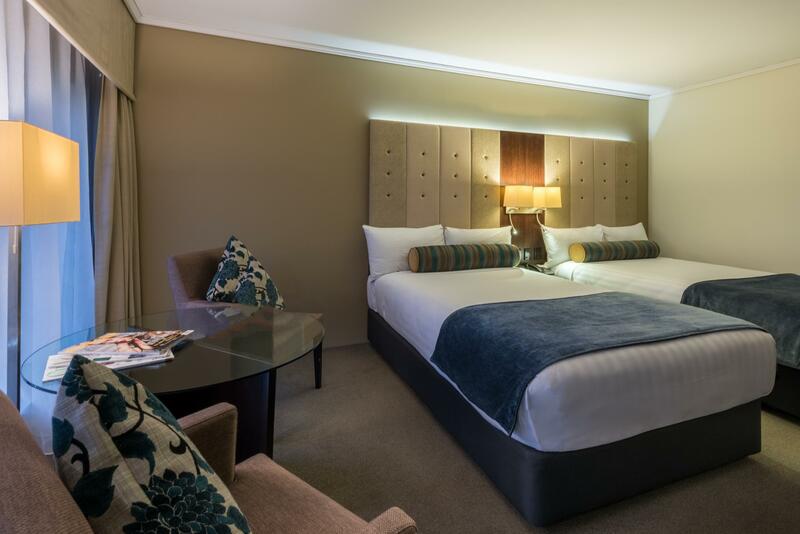 تنعكس أجواء Grand Millennium Auckland في غرف الضيوف.تلفزيون بشاشة مسطحة, سجاد, رف للملابس, قهوة فورية مجانية, شاي مجاني هي بعض الميزات الموجود في العديد من الغرف. يقدم الفندق خدمات رائعة كمثل مركز للياقة البدنية, ساونا, حمام سباحة داخلي, حديقة, غرفة بخار لمساعدتك على الاسترخاء بعد نهار طويل من النشاط والتجوال في المدينة. يحظى فندق Grand Millennium Auckland بموقع ممتاز وخدمات يصعب منافستها. يحظى الأطفال من عمر 5 حتى 11 عامًا بإقامة مجانية في حالة استخدام الأسرّة الموجودة بالغرفة "السوبيريور" فقط. الأطفال تحت سن 18 عامًا لا يسمح لهم بدخول صالة النادي. عند حجز 4 غرفة/غرف أو أكثر، قد تطبق سياسات مختلفة ورسوم إضافية أخرى. هذه هي سياسة العقار. على النزلاء تقديم بطاقة ائتمانية عند تسجيل الوصول؛ تحسبًا لأية تلفيات قد تحدث أثناء الإقامة. لا يلزم إجراء التفويض المسبق. سيُطبق رسم إضافي بقيمة 2% على جميع معاملات بطاقتي الخصم والائتمان من فيزا أو ماستر كارد. لن يُفرَض رسم إضافي على جميع المعاملات التي يتمّ إجراؤها نقدًا وباستخدام نظام تحويل الأموال إلكترونيًا في نقاط البيع (EFTPOS). We thoroughly enjoyed our 2 nights here, superior room very spacious and bed very comfortable. Nice complimentary toiletries, helpful and courteous staff when we needed them. Very quiet, no traffic noise. Great location if you are going to an event at the Aotea Centre. We walked all the way down to the Viaduct and back again, all within walking distance, as is the Sky Tower. Would happily stay again. My wife and I only stayed one night in a King Club Room following a cruise. Prior to joining the cruise we had some spare time so we visited the Grand Millennium just to see what it looked like. Thought it looked Ok but still had some small doubts. Any doubts we had disappeared from the moment we checked in. We arrived at 9.00am from the cruise and they gave us a room straight away. The room was clean and comfortable and of a good size. The bed was great. My wife liked what she saw. The early check in allowed us a day of exploring Auckland. 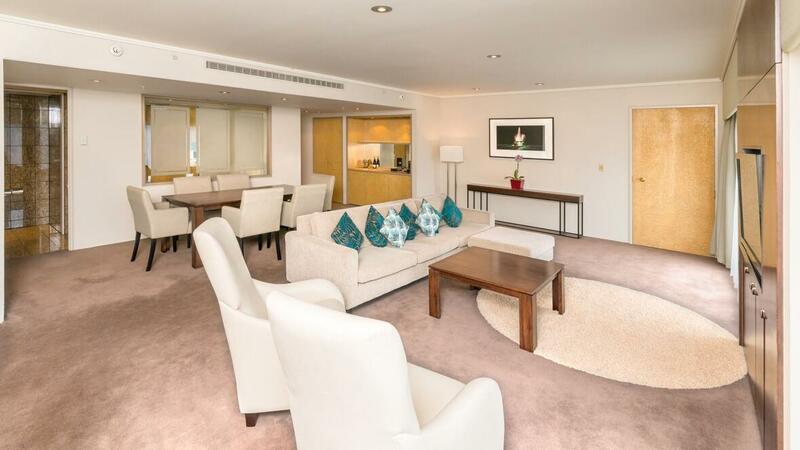 The room also included access to the Executive Club for drinks and canapes plus a buffet breakfast. We were also given a late check out which suited us very well as we had a late flight home. 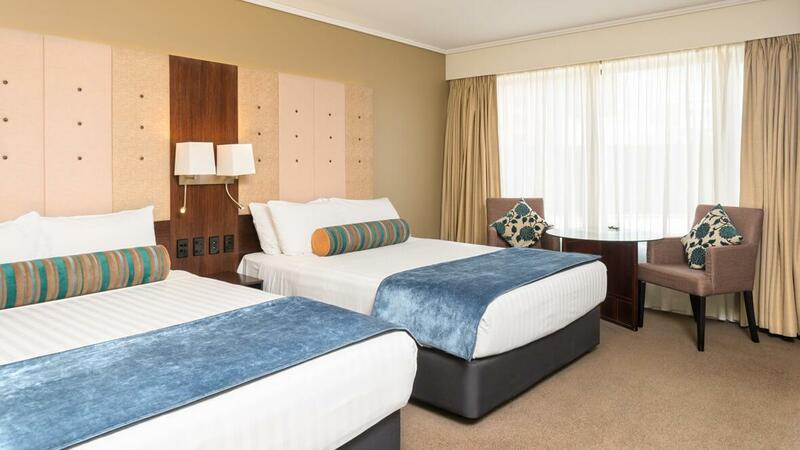 We booked this room through AGODA and after comparing the rates to other Hotel websites we were extremely happy with what we not only paid but saved. We would stay at the Grand Millennium again. The check-in process was quick and the front desk staff are quite pleasant. Once we stepped in to the elevator to go to our room, the place smell moldy, old and dusty. There are fingerprints all over the handrails inside the elevator and the carpet looks dusty. The biggest disappointment is the lack toothbrushes in the bathroom - is it because we got the room at a discount? So some of the basic toiletries were not provided. One good thing, though, is that we were allowed to leave our baggages after we check-out as we still have half of the day before our flight back home. Across the road from the City Hall and municipal square one could not be more central, the staff were professional and friendly to a person, the rooms were very comfortable and well appointed with a genteel charm, I would have liked there to be some cutlery aside from a teaspoon (which made eating a takeout a more lasting experience), and the aircon was noisier than I would have liked. The on-site gym was small, but tidy and the equipment new and well maintained, the pool was popular. All in all very nice. Good value for money but I wish shampoo and conditioner was separated!! 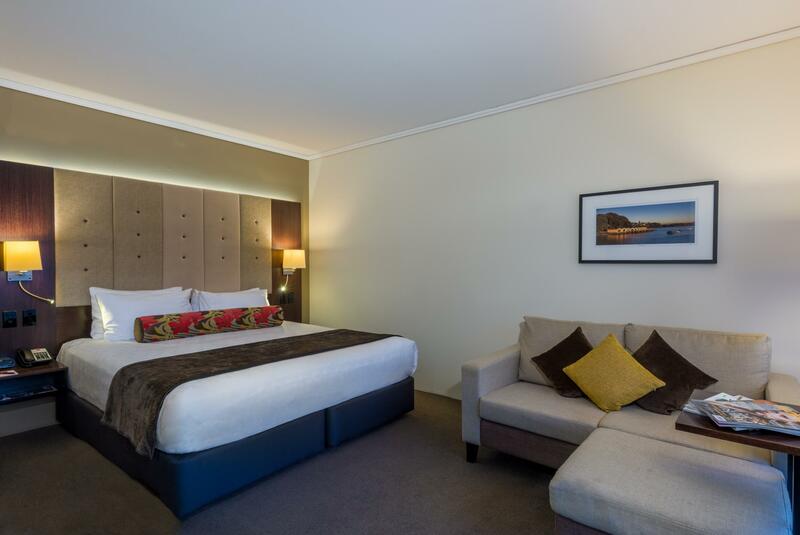 St Kilda is just being gentrified so offers a mix of hostels right through to smart hotels. This is in the older area and has been well presented as a decent hotel. Staff were really helpful (24 hrs) and room servicing was great. The St Kilda area can get a bit rowdy at the weekend, but there is a beautiful artisan market each Sunday and occasionally one on Fridays too. More cake and ice cream shops selling more cake and ice cream than you could possibly imagine! Try Abbey Road bar for great food and warm welcome (serves food late and is open to midnight). You couldn't hear any noise in our room. 300m to nearest tram and the SkyBus to/from the airport stops right outside reception. Couldn't ask for more. We had a great stay at this hotel! The staff were very welcoming and allowed us to check in early after two long haul flights- we really appreciated this! We were also upgraded to a club room. This hotel was an amazing start to our tour of the North Island! Thank you for your amazing hospitality! Great location from which you can explore Auckland. Staff are courteous and ever so helpful. We had access to the club floor and although the staff there were great, the offerings were basic. Breakfast downstairs tends to be the same items each day and they would benefit from changing it up now and again to add some variety. Overall a great base and gym is ok as is the indoor pool. My husband and I spent the weekend at this hotel celebrating our 25th wedding anniversary. The staff left a lovely handwritten congratulations card in our room. The staff throughout the whole hotel were fantastic; very polite and welcoming, and happy to provide any assistance we needed. We stayed in a superior king room. The room was a great size and very clean. The bed was super comfortable! We asked for a quiet room and were given this. We ate fantastic food in the hotel's brassarie at a very reasonable price for the quality of food. 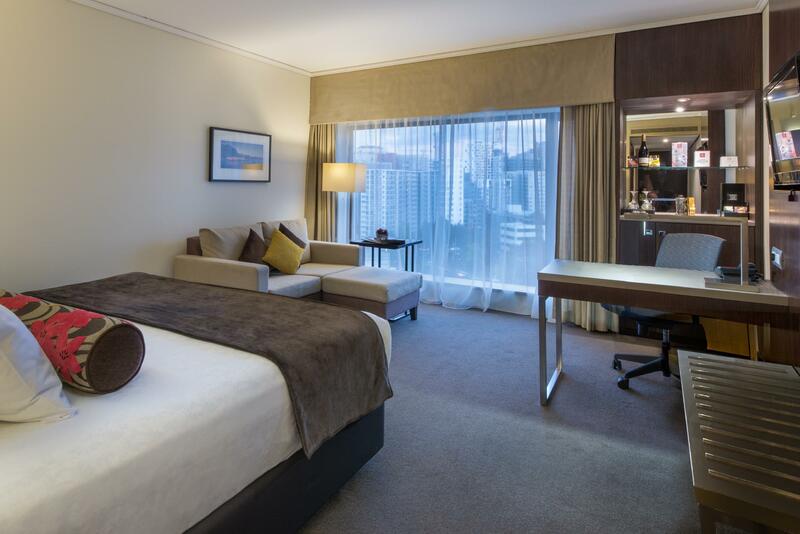 We would definitely choose to stay in this hotel again, which is just a few minutes walk from Queen Street in the heart of the CBD. We absolutely loved our stay at this hotel but what made them stand out from the rest was the amazing staff, who had laid out compliments for us as they knew we were on our honeymoon, also special thanks to Arpan Keshav who did the absolute terrific job of couriering our luggage to our next hotel as we unfortunately forgotten and left our luggage behind in the hotel, this potentially saved our trip from being a total disaster! We spend our easter holiday in this hotel. Good location, near Queens Street Shopping area. 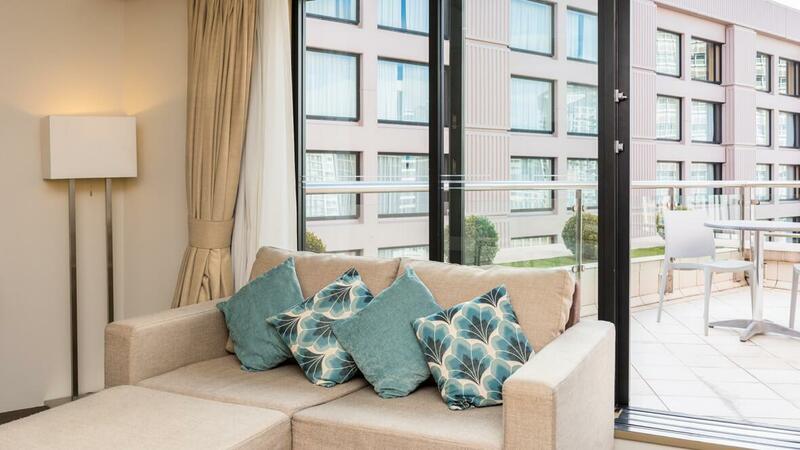 Accessible to Sky Bus Station from and to the airport. Good selection of breakfast buffet. Cleen room and facilities. Helpful staff. 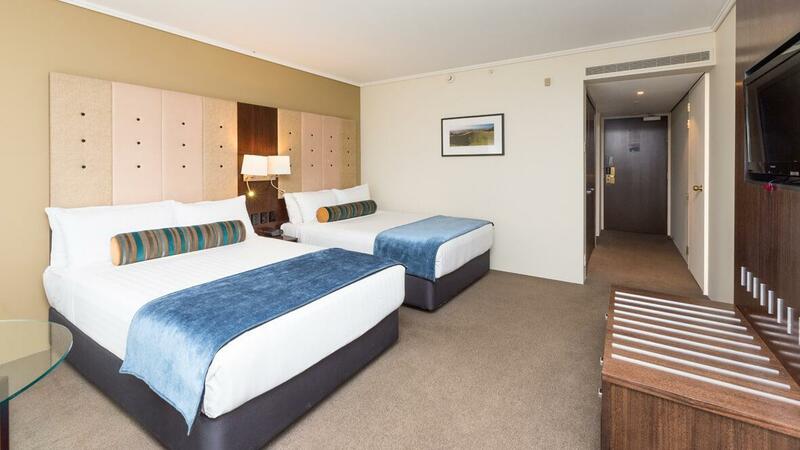 I will recommend this hotel for tourist visiting Auckland City. Room wasn’t ready at 3pm so came back at 6pm, but had to line up behind large tour group to get keys. Baggage was meant to be taken to the room, but they lost it. Room was fine. Bar facilities were nice. Ground floor smells musty. So over all ok but not the standard I would expect. We had a good stay at the Grand Millennium. We stay here every year after our annual TNA ball . The front desk were very accomodating and friendly. However we were appalled at the amount of time it took for housekeeping to answer their phone and bring towels or any of our requests to our room. The first couple of times we called they didn't answer. We waited almost 20 minutes for extra towels to be delivered and half an hour for a bucket of Ice cubes to be delivered to our room. Staying at the Grand Millennium is not cheap, it would be nice if the service matched it's prices. We stayed at a club room. When I went to get a coffee at 10.10am I was told that the coffee machine was already turned off. The club room is open until 10.30am, therefore the coffee machine should not be switched off so early. We are having second thoughts about staying here next year! Stayed at this hotel for two nights - staff are friendly, wifi is fast. The hotel is in close vicinity of basically everywhere. Seemless service. Everyone was ready to help. Great facilities and easy walk to main attractions. 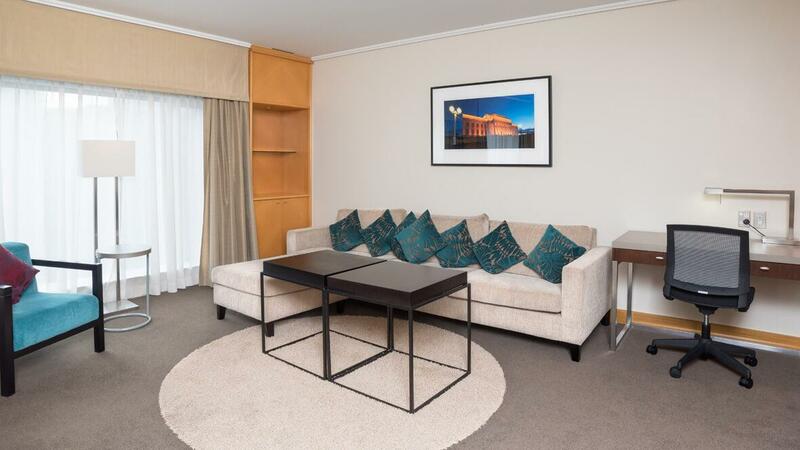 A great comfortable stay in central Auckland. 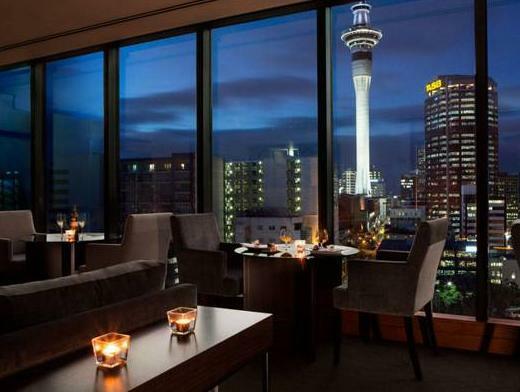 Good location, walking distance of Skytower, harbour etc. Close to airport shuttle bus drop off point. Breakfast was good, room was very comfortable and the hotel pool was a bonus. Recommended.